By now, most of us have heard about the declining bee population and horrible predictions about that's going to affect food in the future. While the predictions may not seem as dire as they're made out to be, it's still important to understand the role that pollinators play in our day-to-day existence.. Without pollinators, not just bees, plants requiring pollination would be in a bit of a pinch. Hand pollination is possible, on a small scale, but those who have done plant propagation know that it's very time consuming and doing it on a huge scale (like enough to feed a significant portion of the population) would be expensive and nearly impossible with current technology. These animals and insects are responsible for most of the food we eat. Wind and rain can also help with pollination, but even people have a hard time stopping the overall forces of nature! 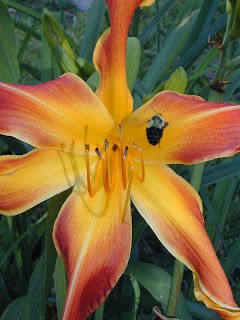 Pollinator Week came to be last year to promote the pollinators of the world and to encourage people to create habitats and an environments conducive to these important creatures' well being. This year, Pollinator Week is 22-28 June, and you can find the list of cities and states that have declared it here. If your state or area hasn't had it declared, consider contacting your governor, mayor, or whoever's 'the boss' next year to encourage them to make the announcement. The group has a pre-written sample release that you can send, so that you don't even have to have a way with words to convey the message. The Pollinator Partnership has tons of information and handouts available to spread awareness and educate people about this important movement. So make sure to share! The Pollinator Partnership isn't the only group spreading the word, however. The Great Sunflower Project is another group that has fun guides and offers seeds to it's participants! Although seed shipments for this year are over, the Great Sunflower Project is taking sign ups for new members. They have a pretty active forums section that will be able to answer or help you with any questions you might have. The Great Sunflower Project is a bit more cuddly than the Pollinator Partnership, and has a bunch of resources and helps you with the best days to monitor your sunflowers for bee population. The group also offers assistance to schools and great resources to help teachers. You'll get to record your data and submit it to the group. The information that you submit will help bring to light how bees act in suburban, home, and community gardens and the surrounding areas, ultimately leading to a greater understanding of how to keep these critters happy and get them thriving. If you're not interested in joining up or participating in group fashion, there are always ways that you can educate others or simply fulfill your desire to help out. Plant a butterfly garden! Butterflies, bees, hummingbirds, and other pollinators all have similar tastes, so the plants that are labeled for butterfly gardens are perfect choices for new additions. 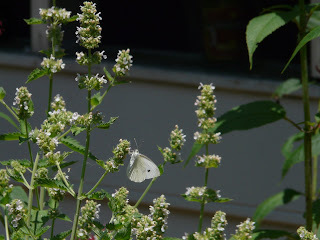 Remember that some plants will flower to feed adult pollinators; some will be tasty, leafy treats for the caterpillars and nymphs; and some will be both. Try and use as few pesticides as possible. The chemicals that you use to rid your plants of nasties also eliminates the good guys! Look online or in organic and natural gardening books for ideas on how to control the pests in your gardens without toxins that threaten pollinators (and sometimes people!) Remember, some of those 'snacks' taken out of your favorite plants leaves could be from juvenile pollinators. 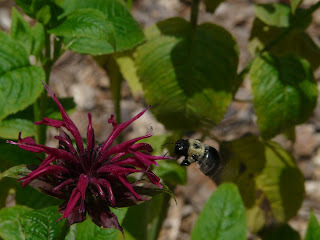 See about planting native plants. Native plants have been feeding the caterpillars, nymphs, and adult pollinators in your area for a loooong time, so they appeal to creatures that are indigenous and will help build the population. Not only that, but these natives are more able to tolerate conditions in your garden that other plants might struggle in! Thanks to the EtsyPHAT for their proofing and suggestions, and thank you to Wildflower444444 for her photograph!